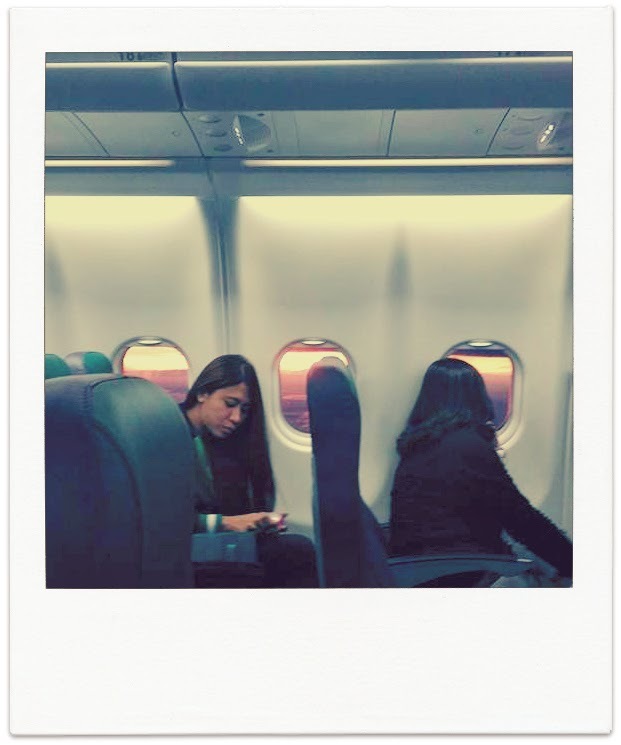 I've been on two trips -- one to New Zealand and one to Nueva Ecija -- in the last two months, and one day I may write about them, but for now, let me just paste here what I wrote on Facebook when I found myself returning to Philippine airspace after two weeks, mostly wonderful, away from home. What I didn't write there was that my eyes welled with tears and my heart beamed with pride and I had to get a grip because it wasn't like I'd been away for long. As the captain announced our descent, a lady in my row opened her window and let in a sudden blast of the Philippine sunset bursting across a thick sea of clouds. It hurt my eyes, but my heart leapt for joy. There she is! it said. From the center aisle, I watched the sun sink beneath the clouds, burning them the color of persistent ember. This trip was lovely, and the places I've been to were breathtakingly beautiful. Many times I've said, I could live here. But one beam of that familiar sun and I am home.